H.E. 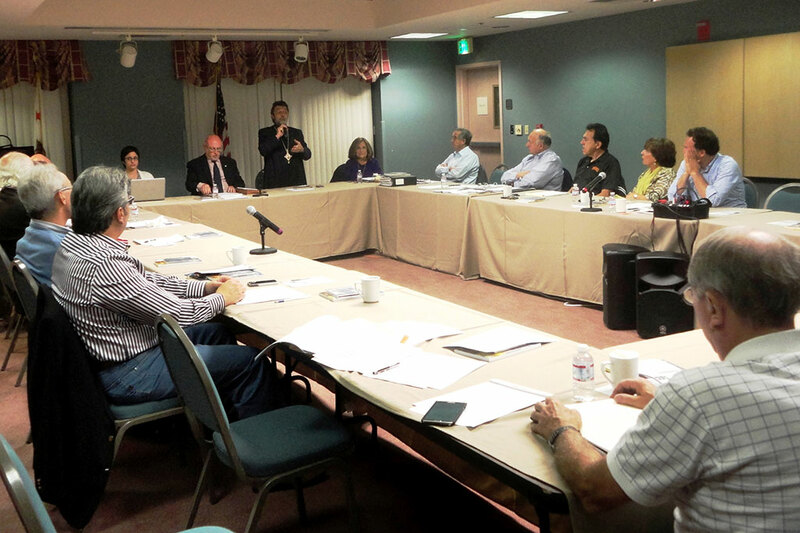 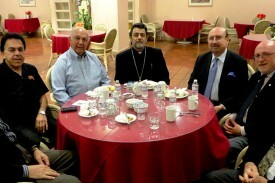 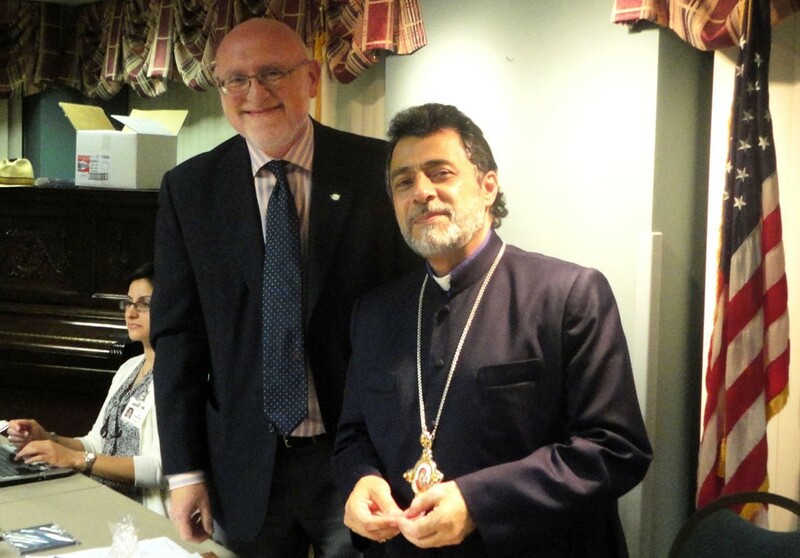 Archbishop Hovnan Derderian, Primate of the Western Diocese of the Armenian Church, visited the Ararat Home Board of Trustees in Mission Hills on May 22, 2014. 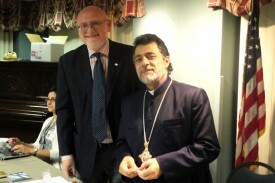 The Board had invited the Primate to its customary dinner and monthly Board meeting. 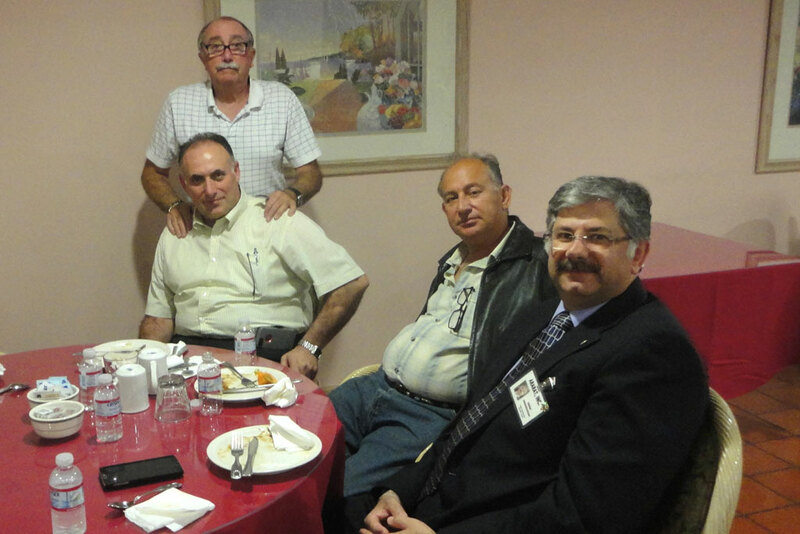 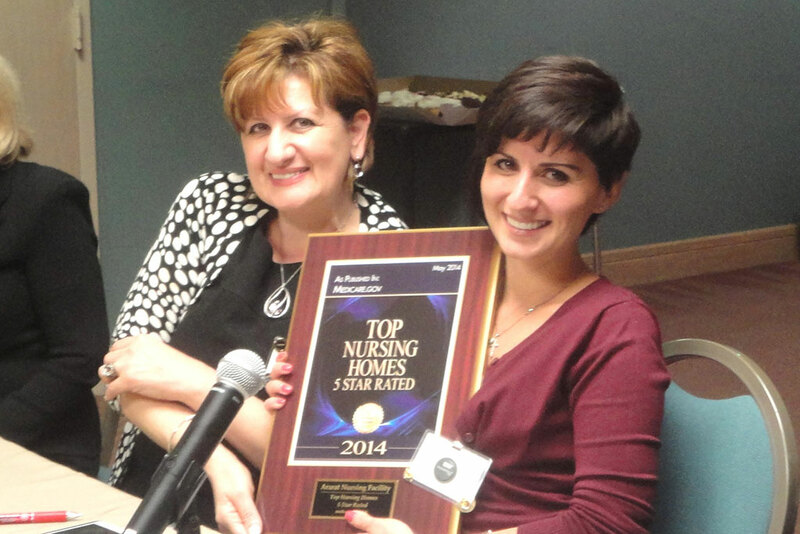 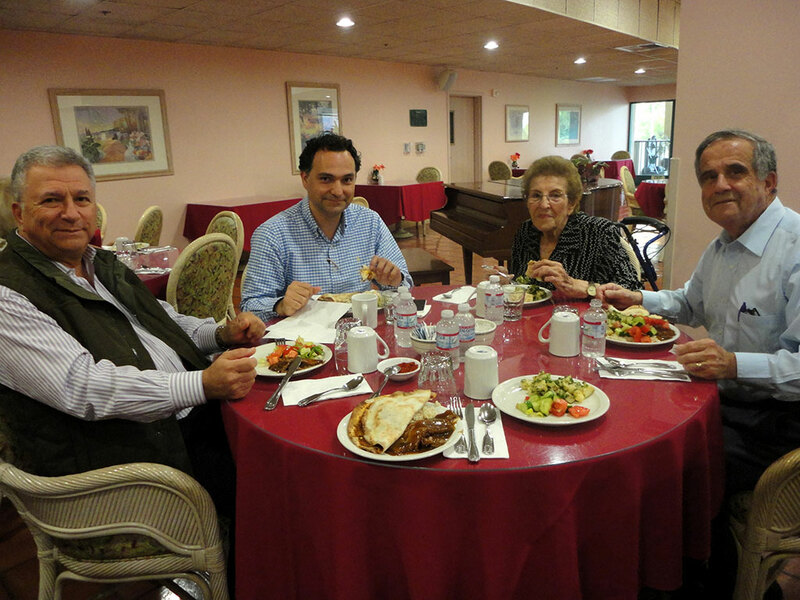 The Primate met each trustee and was more closely introduced to the scope of work done at Ararat Home. 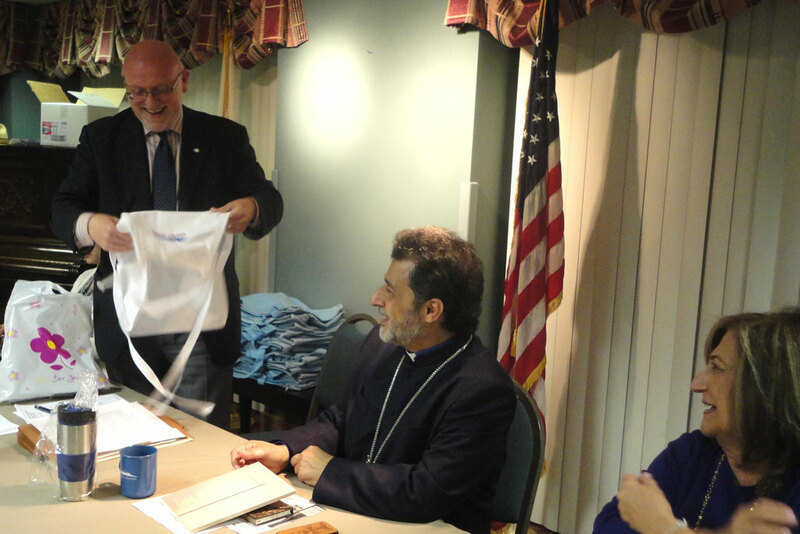 Board Chairman Joseph Kanimian introduced the Primate in his opening remarks, thanked him for being a great supporter of Ararat Home and welcomed him to the Board meeting. 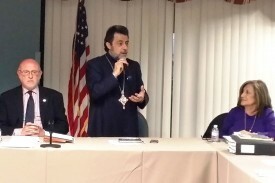 The Chairman also stated that invitations have been extended to all the religious leaders to attend Ararat Home Board meetings and deliver the opening prayer. 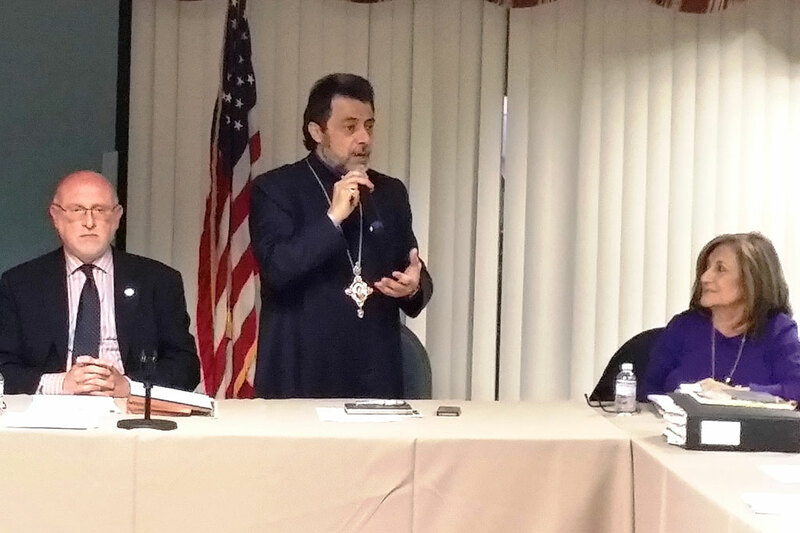 After offering the opening prayer at the meeting, the Primate addressed the entire Board expressing his delight in each of his visits to the Home. He commended the good work done by the Board of Trustees and all Ararat Home employees, and he blessed them for their commitment to this very noble cause.